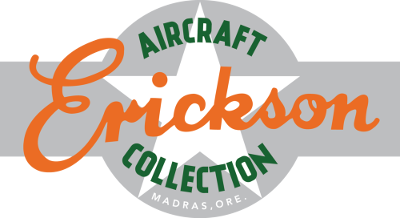 Your Airshow admission allows you free admission to the renowned Erickson Aircraft Collection. The Erickson Aircraft Collection proudly displays a vintage aircraft collection started by Jack Erickson in 1983. The collection features over twenty rare aircraft, most of which are still in flying condition. The newly named Collection features rare aircraft that are still in flying condition such as the P-38 Lightning, P-51 Mustang, Ki43 Hayabusa and B-17 Flying Fortress. Several of their phenomenal aircraft will be displayed on the airfield where you can get up close and personal, take photos and ​rides are also offered! 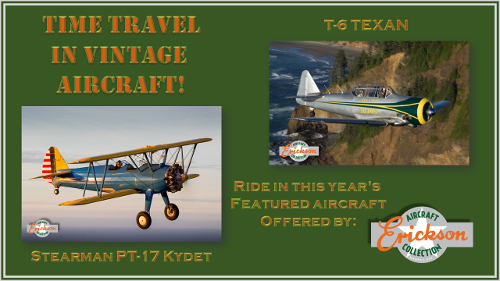 In addition, Erickson's will have three of their Warbirds in the air!